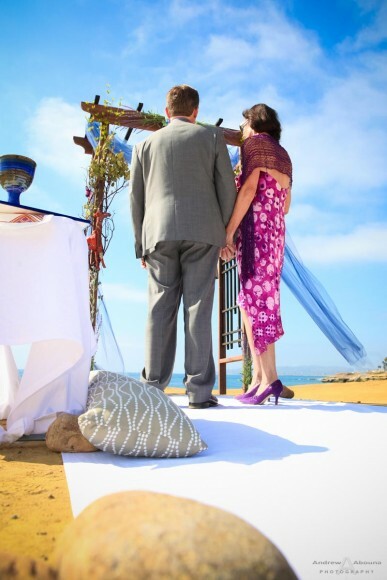 Overlooking the beautiful blue Pacific Ocean, from atop the cliffs that line the coastal shore of this idyllic place in San Diego, I recently had the pleasure of photographing the Sunset Cliffs Wedding of June and Scott. 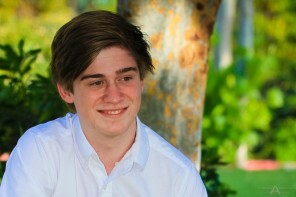 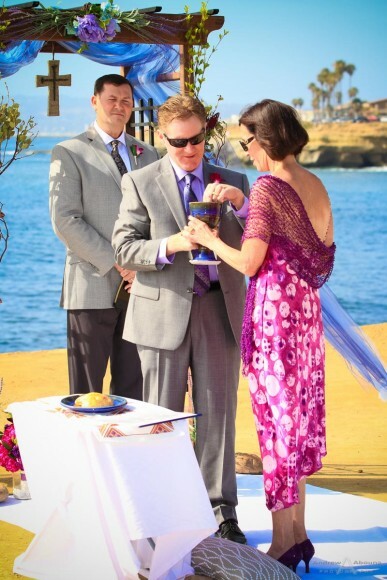 The ceremony site was created by Scott and it all had purpose and meaning. 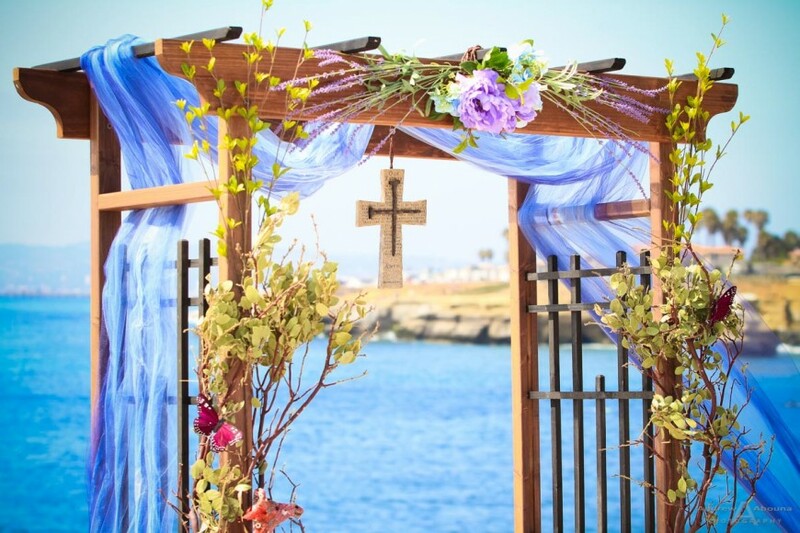 With a pure white sheet anchored by stones, a wonderfully decorated arch with ivy, flowers, and giraffe that had story of June and Scott’s first meeting, and a table set with bread, wine and their vows. 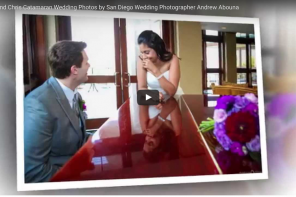 The setting was as intimate as their ceremony, and it was complete with music and blessing, and delighting San Diego wedding photography occasion for me. 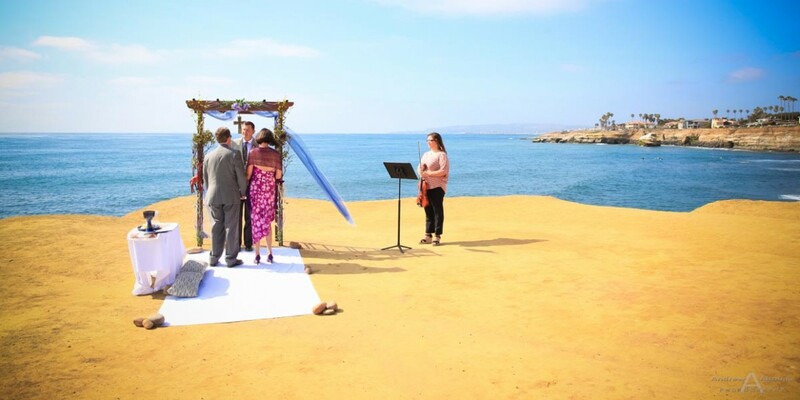 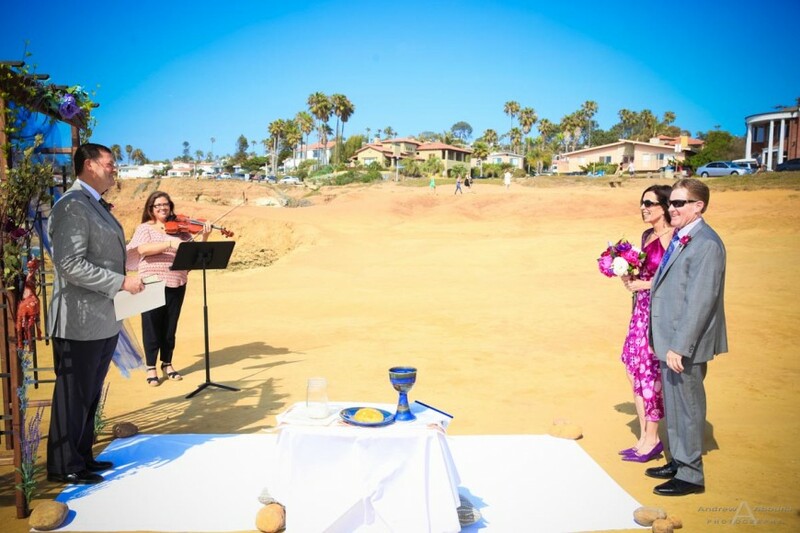 June and Scott’s Sunset Cliffs wedding was accompanied by the wonderful music of violist Sabrina Cabral. 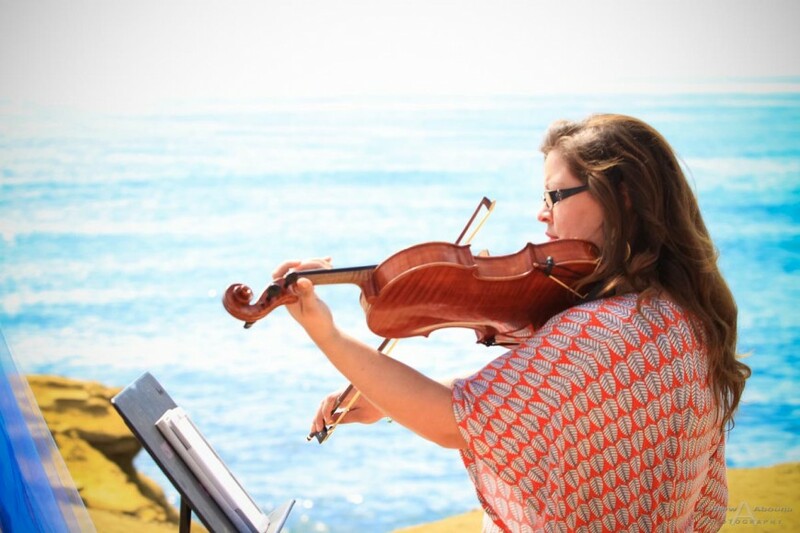 Sabrina’s music was lovely to hear and she played the most enchanting pieces over the course of the wedding ceremony. 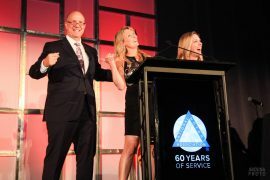 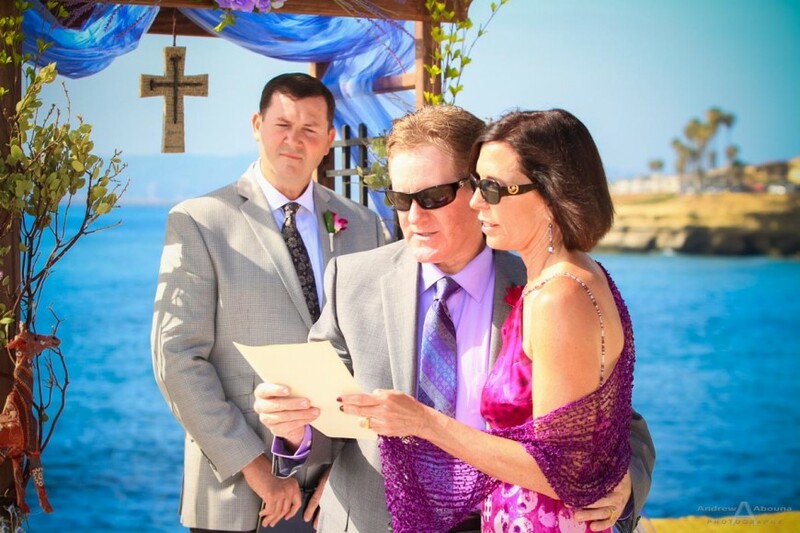 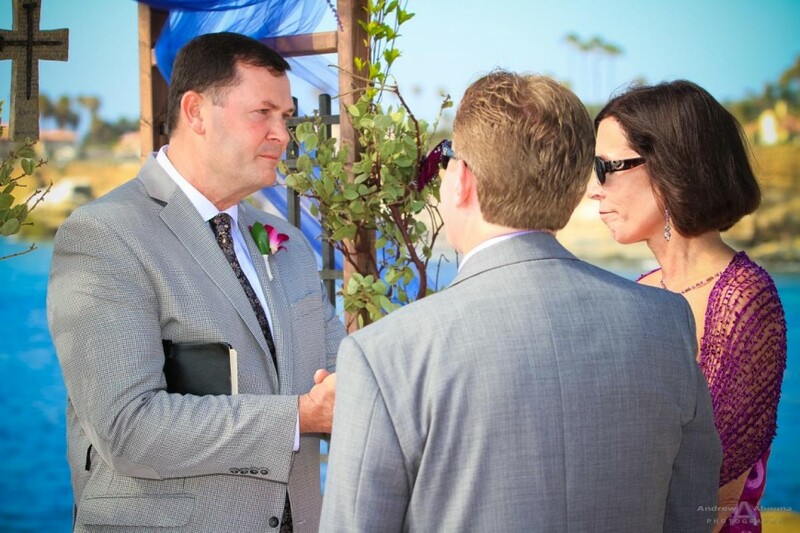 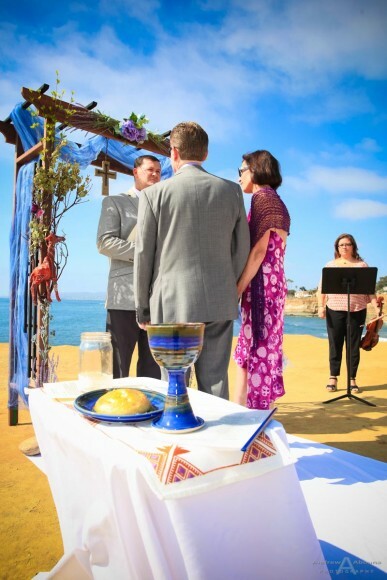 Their ceremony was religious and heartfelt, as Pastor Kevin Sanford, of The Harbor Church San Diego, spoke eloquently and passionately about the importance of marriage and of each other. 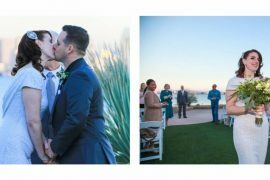 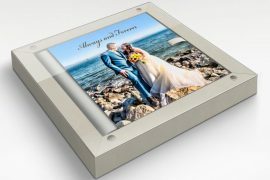 I tried to capture some of the feelings and depth of the ceremony though the wedding photography, and some of my photographer favorite photos from the couple’s wedding are shown here. 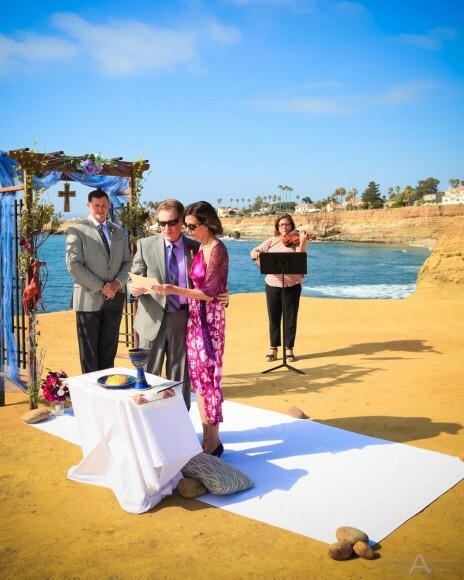 The personal care and touch that Scott gave to preparing their wedding ceremony also really helped in create a wonderful collection of Sunset Cliffs wedding photos for the couple. 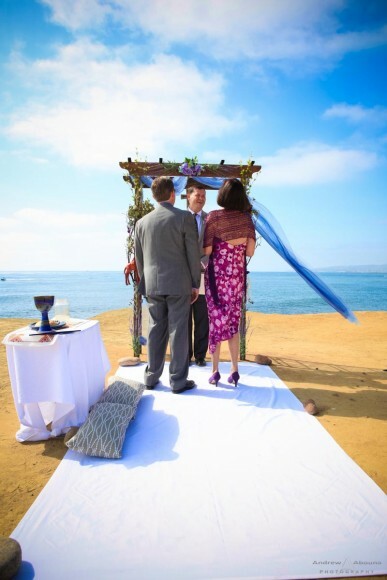 The colors, textures, and spiritual elements all contrasted and complimented the grandness of this beautiful natural setting, making it a wonderful San Diego wedding venue. 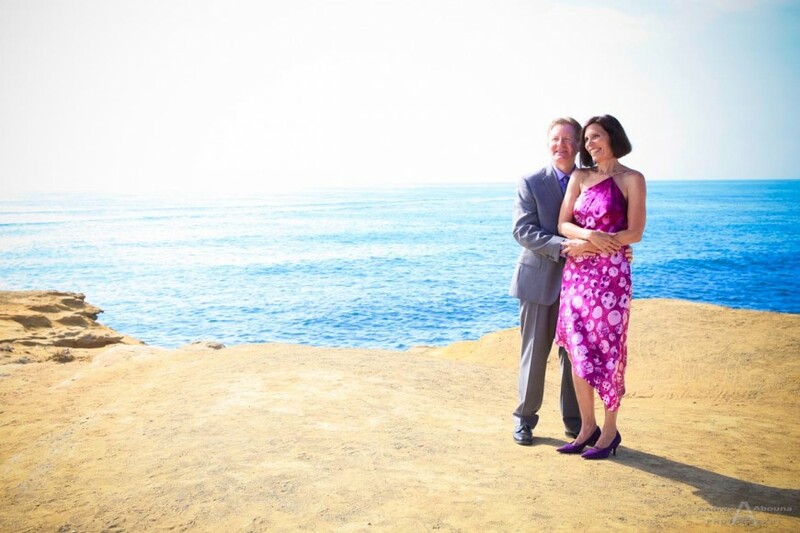 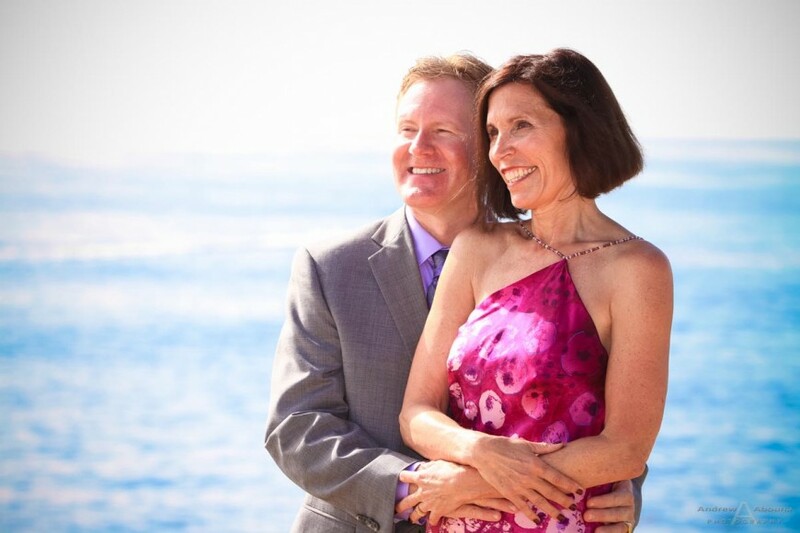 I’ve photographed weddings at Sunset Cliffs before, and like June and Scott’s, each one is special. 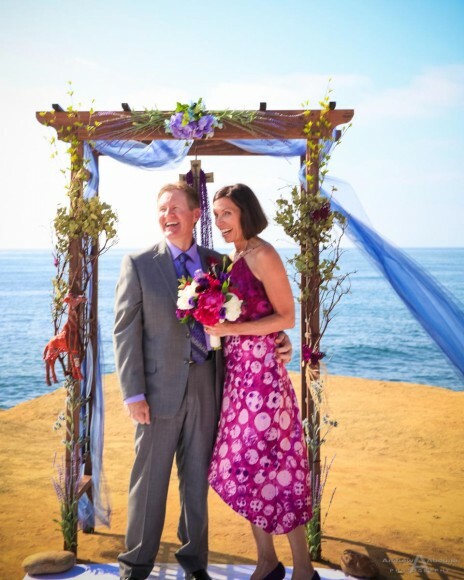 June and Scot’s collection of Sunset Cliffs wedding photography can be accessed in my San Diego Wedding Photographer Client Galleries (password required). 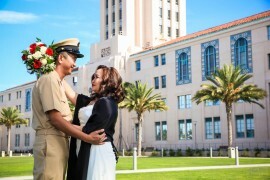 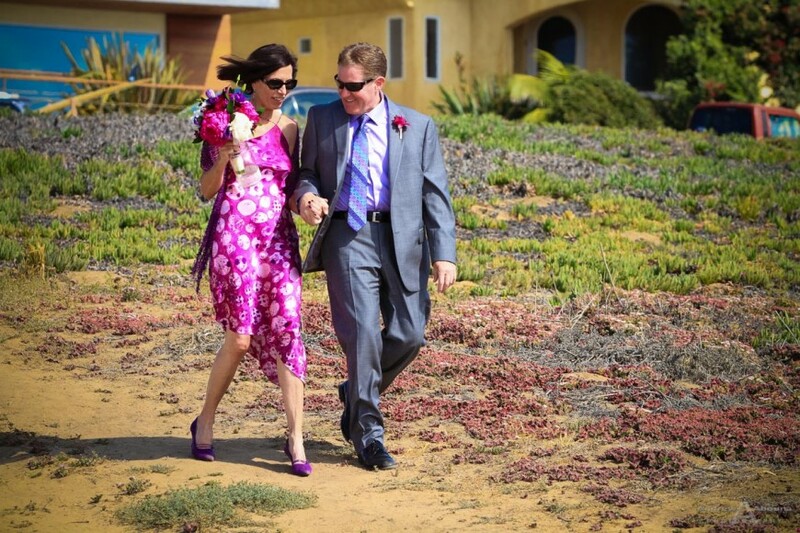 For more information about San Diego Wedding Photography please contact me.